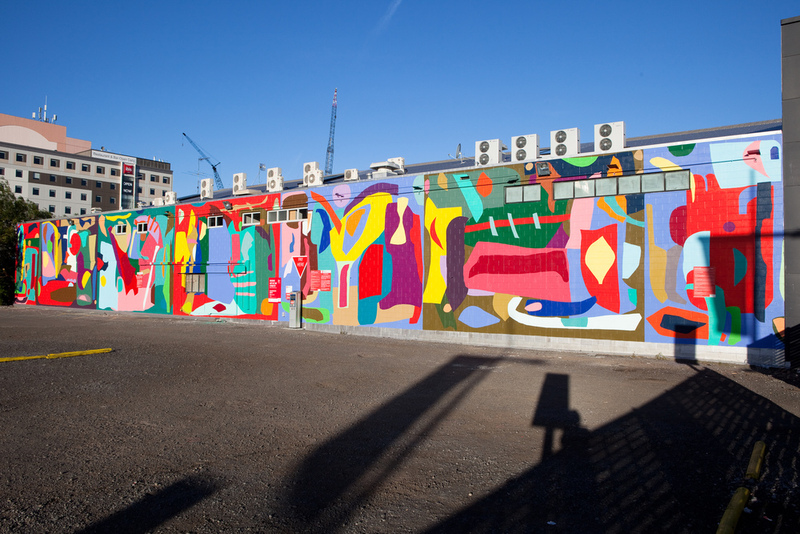 The winning design, created by Rachael Dewhirst - a fourth year student of Fine Arts at Canterbury University - is a vibrant scheme which has been created for installation as a vast mural on the wall of the Canterbury Development Corporation Building. Rachael’s design was inspired by her post-earthquake observations of parts of buildings, including their interiors, which were not exposed previously. The shapes inspired forms in the mural design, and she will use playful and optimistic colours to add impact on the surrounding grey, empty landscape. Rachael says "I am extremely excited and grateful to have this opportunity; especially to have an active part to play alongside SCAPE Public Art to bring life and vibrancy to our central city. As a Fine Arts student at Canterbury working towards an artistic career, it is a unique chance to showcase my work to the public." The Resene Art in the Streets SCAPE Christchurch Murals project was created as an extension of the SCAPE Public Art Development Workshops. The Workshops, run earlier this year, were developed specifically for Christchurch-based visual art students, emerging and mid-career artists and aimed to cultivate the necessary skills to develop public art projects for Christchurch. Artists who attended the workshops were encouraged to submit designs for consideration for the mural, and Rachael’s submission was chosen from amongst the designs received. Sponsors: Upright Scaffolding, Creative Communities NZ, CPIT Trade Training Painters.